The orange is a very popular fruit that is native to Southeast Asia. It is believed to be the product of a cross between the pomelo and tangerine. 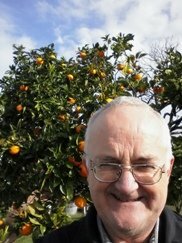 In some countries it goes by the name “Chinese apple” with the Dutch calling it “Sinaasappel” and Germans calling it “Apfelsine.” They can be plucked from various citrus trees like Citrus sinensis or Citrus aurantium. Citrus sinensis trees produce sweet varieties, while Citrus aurantium trees produce bitter ones. The tree can grow to approximately 10 meters, sprouts evergreen leaves, and initially produces flowers that become fruit called hesperidium (herpsperdia; plural). Hersperidia are modified berries that have leathery, tough rinds. All the fruits that belong to the Citrus genus are classified as berries because of their fleshy and soft pulp, large number of seeds, and the fact that they develop from a single ovary. 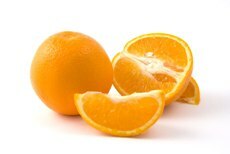 Oranges in particular have seeds called pips and white thread-like flesh called clemos that surrounds the pulp. To date, the seeds and clemos have not been shown to have any nutritional value. Nonetheless, this is an essential fruit that has been widely consumed in almost every country for centuries. Bitter varieties were introduced to Italy during the 11th century and this led to its spread throughout southern Europe. In the 15th century, Portuguese traders who were working out of India introduced sweet varieties to Europe. Sweet fruits quickly replaced bitter ones and became the most cultivated varieties in Europe. During the early 1400s Dutch, Portuguese, Spanish, and Arab sailors consumed large amounts of citrus including oranges to prevent the development of scurvy. Christopher Columbus took orange, lemon, and citron seeds to Haiti and other parts of the Caribbean, while Jaun Ponce de Leon introduced them in Florida during the 1500's. 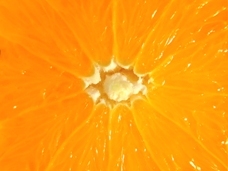 The navel variety developed in 1820 from a sweet orange orchard in Brazil through a single mutation that caused a second shoot to grow at the base of the original plant. This form however, did not produce seeds and was therefore sterile. 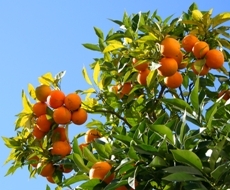 In order to further cultivate navel oranges, the cuttings had to be grafted onto fertile citrus trees. In 1870 grafts cuts of navel trees were performed in California (5). From that point on, the fruit became popular worldwide. Other names for navel varieties include Bahie navel, Washington, and Riverside. In 2005, the three leading orange-producing countries were Brazil, the United States, and Mexico. Production is also a staple in India, China, Spain, Italy, Iran, Egypt, and Pakistan. 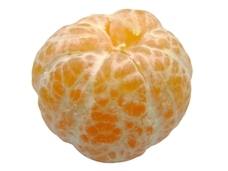 In the United States, the most commonly sold variety are navel oranges grown in Florida (3). 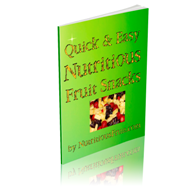 Today fresh fruits are still consumed widely and are found in a variety of commercial products. Preserved slices can be purchased in individual cups or in fruit cocktails. The juice and mixed beverages that contain it are also very popular. Brazil is currently the leading producer of the fruit's juice followed by the United States. When it has been freshly squeezed and filtered is also sold in a frozen, concentrate form in most supermarkets (9). In addition, they are often added to marmalade, jams, cakes, sorbets, ice cream, pudding, and various sorts of desserts. In Spain, commercially produced orange juice is often extracted from Valencia oranges. This sweet variety develops late in the season and becomes the more sought after variety when navel are out of season. Due to the fact that Valencia sprout so late in the season it was chosen as the mascot in Spain during the 1982 FIFA World Cup. People in Spain also use orange blossoms that fall from the trees to make tea. Blood oranges or red oranges have red streaks on the rind and juice extracted from them is usually dark red or burgundy in color. It is most often used to make Seville marmalade, which exploits its red streaks and distinct flavor. Orange blossom honey, is a highly sought after delicacy that is produced by placing beehives in citrus groves as they begin to bloom. The product is delicious honey that carries the distinctive taste. The rind has a sour taste so it is usually not consumed, but it can be used for animal feed, which involves the use of pressure and heat to remove water from the rind. The rind is also used to make teas, in dessert recipes, and as a garnish. In addition, the rind is quite often used to produce zest by grating the surface of the rind. The zest is a popular additive to many dishes and desserts because of its strong flavor and essential oils. The peel is also used as a slug repellent in gardens. Sweet oil is produced by the juice industry when the peel is pressed. This oil is used to add flavor to foods and drinks in addition to a fragrance for perfume and aromatherapy. This oil is also a component of many household agents such as wood replenishers, soaps, other cleaning agents, and hand sanitizing agents (6). Oranges contain minerals like phosphorus, magnesium, potassium, sulfur, iron, copper, sodium, calcium, and trace amounts of chlorine. They also contain vitamins A and B vitamins in addition to large amounts of vitamin C. The high vitamin C content in the fruit helps the body absorb calcium and promote healthy teeth and bones (10). The white flesh of the rind is called pericarp and it is a source of pectin. Pectin is a gelling agent that is used to make jelly and jam. It is also used to stabilize dessert fillings, sweets, fruit juices, and beverages that contain milk. 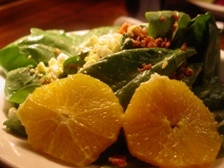 The pericarp also contains just as much vitamin C as the pulp. The oil, which is extracted from the peel is made up of d-limonene. To be more precise, 90% of sweet variety oil is d-limonene. D-limonene is a colorless liquid that gives citrus fruit like oranges their distinctive smell (7). The vitamins and minerals in oranges have been shown to aid bowel disorders, constipation, dyspepsia (upset stomach), indigestion, and respiratory problems (8). The consumption of the fruit also promotes healthy teeth, skin, and bones (2). In addition, consuming them daily may help individuals prevent or treat influenza, fevers, coughs, colds, acne, pimples, measles, heart disease, typhoid (intestinal disease), tuberculosis (TB), and pyorrhea (gum disease) (4). One large fruit provides 60 calories, in the form of sugar, which can be used by the body as an energy source. In this way, oranges can provide healthy individuals as well as weak or sick individuals with a quick boost of healthy energy as opposed to short-term and unhealthy burst of energy some individuals achieve by eating a candy bar. Extracts, like d-limonene, are also popular and efficient cleaning agents that are environmentally friendly and preferred to petroleum distillates, which are flammable and toxic. Some individuals also value the pleasant smell of cleaning agents that contain d-limonene. 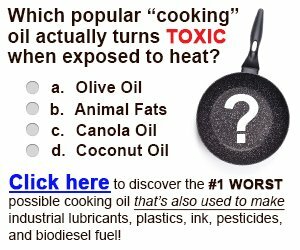 Studies have shown that d-limonene can cause cancer in male rats and in some countries d-limonene is considered to be very toxic. However, to date, no studies have shown that d-limonene can cause cancer in humans (1). Dietrich DR, Swenberg JA. (1991) The presence of alpha 2u-globulin is necessary for d-limonene promotion of male rat kidney tumors. Cancer Research, 51(13):3512-21. Duke J. (2002) CRC Handbook of medicinal herbs. CRC MedHerbs 2nd edition. McGuffin M, Leung AY, Tucker AO. (2000) Herbs of commerce. 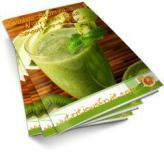 American Herbal Products Assoications, 2nd edition. Rehm S, Espig G. (1991) The cultivated plants of the tropics and subtropics. Margraf, Weikersheim. Sackman, DC. (2005) Orange Empire: California and the Fruits of Eden. University of California Press. Sáenz C, Estévez AM, Sanhueza S. (2007) Orange juice residues as dietary fiber source for foods. Archivos Latinoamericanos Nutricion, 57(2):186-91. Train J. (2006) The Orange: Golden Joy. Maria Teresa Train.